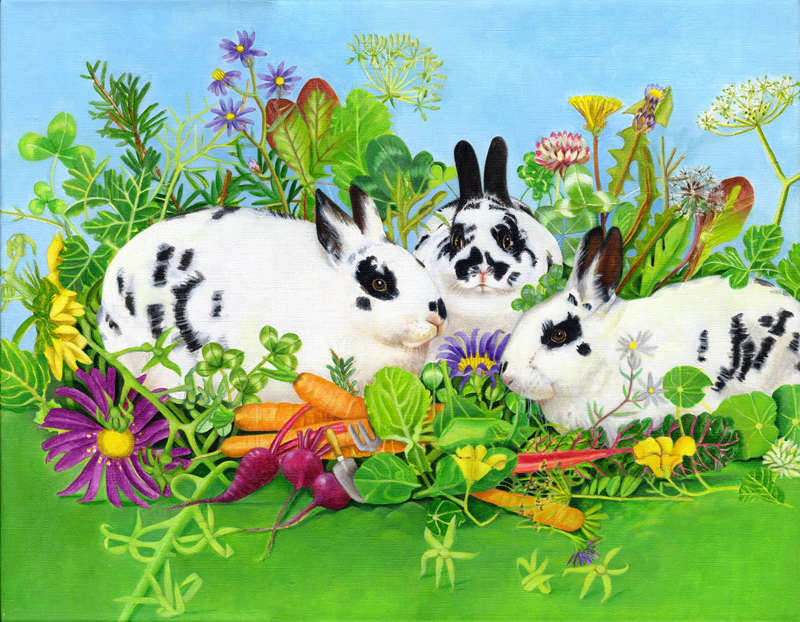 These three rabbits became almost lifelike as I painted them. I wanted to surround them with all the vegetables and greenery they could eat, hence the title Rabbit Heaven. The challenge was to use artistic licence and still make a convincing composition.